Once the database is setup and confirmed to be running we can move onto the Oracle Client install for windows. 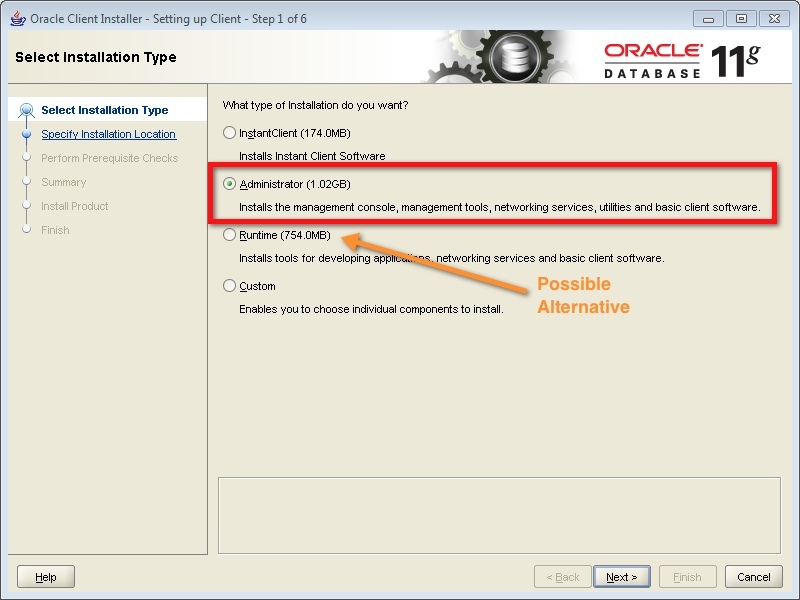 The oracle client needs to be downloaded here and installed separately. I used a windows 2008R2 Virtual Machine so per the vCloud Request Manager documentation. However what is missing is the level of install. The easiest thing I found was to install the full “Administrator” option for the client, however it is about a 1GB install. I could not tell under the custom options which were the required ones. Although I have not tested it the “Runtime” option may be another alternative to use. Generally I do my installs for things like this as well as the vCloud Request Manager bits as a service account in case the services try to run as a service. 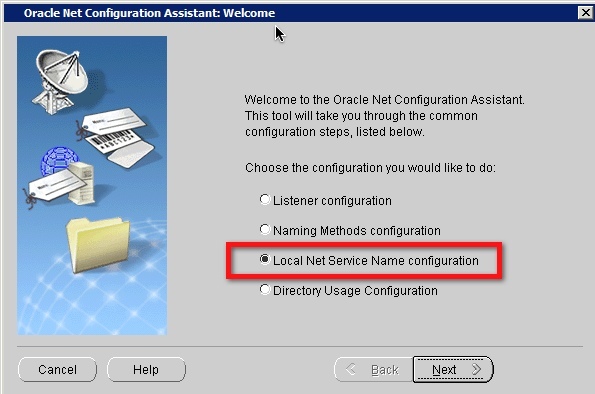 When you launch this utility be sure to select the Local net services assistant. When you step through provide a name and record the Service Name you use. This will be the TNS Name inserted into the vRM configuration screens. 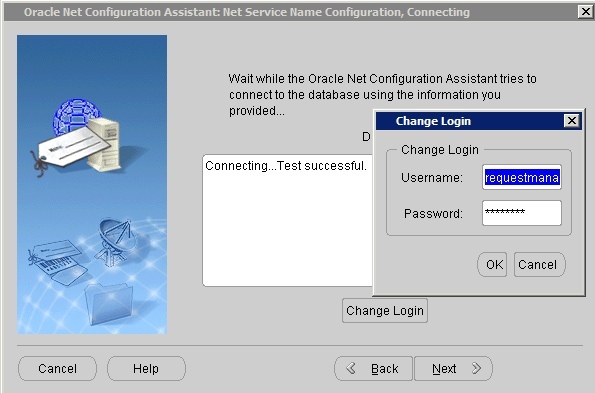 Configure the database server information and test the connection. You will need to test using the database user you made the DBA of the vRM database to ensure connectivity. 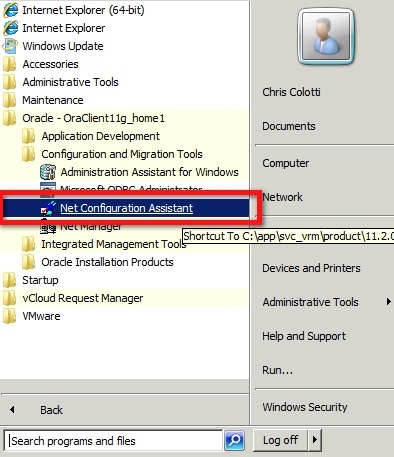 Also you will need this username and password during the vRM configuration. 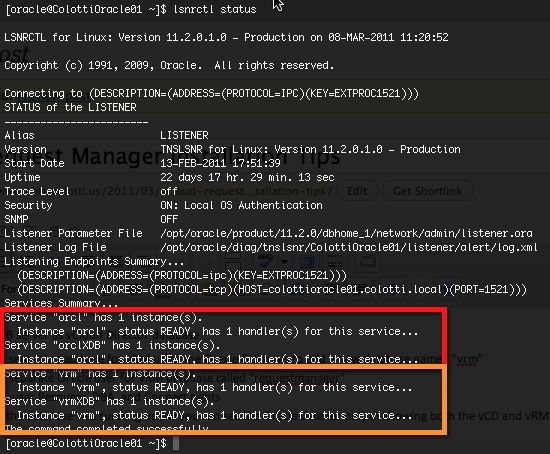 Once you have configured the Oracle Database and the Client connection is working you can start the installation of the vCloud Request Manager application and being the configuration. The bits should install all the needed applications including IIS and other libraries for you. From there the initial configuration is fairly straight forward however there were a couple bumps in the road I discovered.